We do corporate events as well for holiday or Christmas parties, winter or summer camps, shows and meet & greets, company picnics, tea parties you dream it up and we will try to accommodate your party or event. For Superheros visit My Perfect Superhero Party. For parties in London, Ontario visit My Perfect Princess Party London. To Book Your party call 416-485-5048 or fill out the online booking form or email your questions to ac.ps1556092306pym@r1556092306ennal1556092306p1556092306. Princess Elena & Moana Now available!! Monster High- Draculaura & Frankie Stein! - a day to remember and treasure forever! With a large variety of characters available we have what you need for your special princess to have her very own perfect princess party. She can invite Cinderella, Beauty & The Beast, Arabian Princess, Little Mermaid , Rapunzel, Sleeping Beauty, Snow White, or Tinker Bell, Anna & Elsaa, Elena & Moana. For your little ballerina you can have Ballerina Barbie! 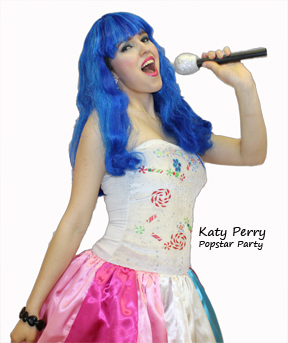 And for your older girls, we have Pop Star parties With Katy Perry look-a -likes that are sure to be a hit! 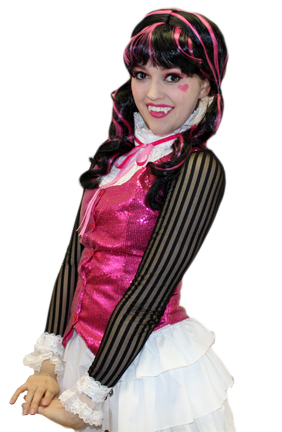 Or try our Monster High Cheer leading & Dance party! Customer Service is important to us. We want your party to be special and worry free. We have real princesses just like at Disney. 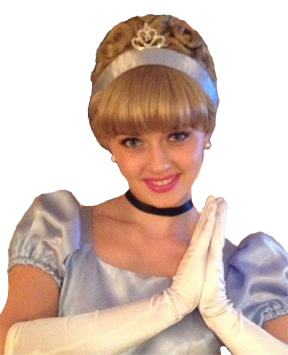 All our performers are professionally trained soprano singers and actresses, who look just like the princesses. ( see Bio's of all the performers under the about us tab on the side) All our costumes are custom made by our costume designer, we also have a professional wig stylist. Our performers arrive at your party with perfect costumes, perfect hair and make-up and deliver a stellar performance. Please note: The fastest way to book is to fill out the online booking form, no deposit required and no obligation. If you require a call back just request it in the comment section. The price listed on the Princess Party website is not necessarily what you actually pay, you get a big surprise the week of the party with extra charges or hidden charges. Make sure you inquire what all the charges are. What seemed like a good deal may not end up being worth it, and it is underhanded. If they are charging you HST be sure to ask for their HST number if they don't have one they have no business charging you for it. The company may only have one or two princesses and they cancel on you the week of the party. We Specialize in last minute parties and have additional staff on standby. We get one to three parties a week, booking last minute because their princess cancelled at the last minute and they did not have enough staff to cover the party. Be wary of companies who want huge deposits and have complicated rules and regulations and strict cancellation and refund procedures. We do not require a deposit and do not have a cancellation policy, we hope you will not cancel but sometimes it is unavoidable if you have an emergency or a sick child. We understand and will not give you a hard time, will will just re-book your party at another time. There are no biography's or pictures of the actual princesses who come to your party. How do you know you will get a stellar performance if you do not know the performers qualifications. 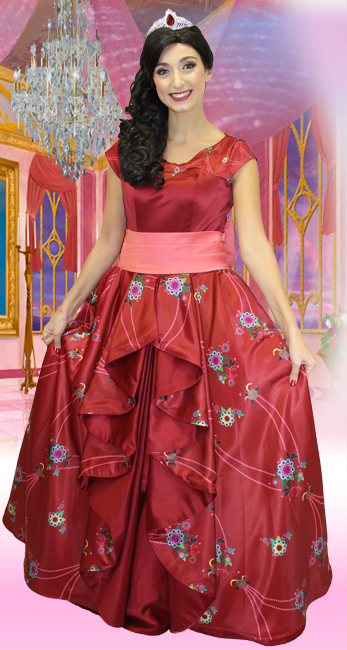 If they tell you the princesses in the pictures are by request - may not get that princess, she may no longer be with the company or may be a model hired for the pictures in some cases they are pictures taken from other companies websites in the USA or even from Disney. If it takes a long time to get back to you be wary on party day you may have the same problem if you need to contact them. The costumes you see in the pictures may not be the same costumes at your party. If they oversell you and offer performances over an hour- most children do not have the attention span for performances over an hour, if 20 or less guests it is just not a good idea for young children and waste of money. 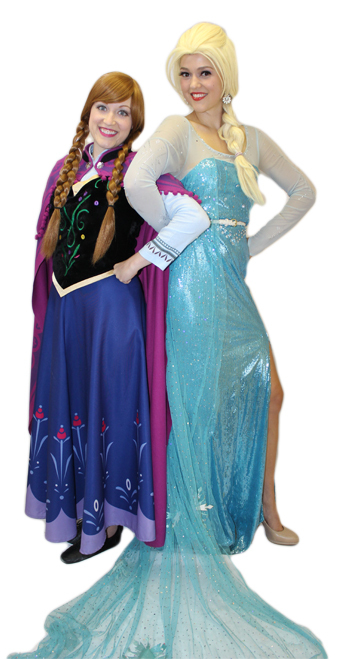 Be sure to ask how long they have been providing princesses, it is a meticulous business and you have to know what you are doing so all goes smoothly, we have been perfecting our parties for the last 14 years and have amazing performers and a wonderful program.